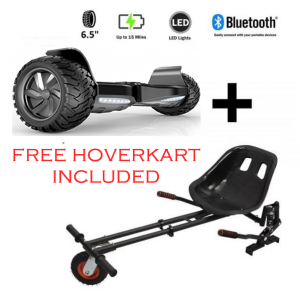 Transform your Segway hoverboard or any other hoverboard into all new exciting electric Go Kart with this All Terrain off road Monster HoverKart attachment by Segbo. 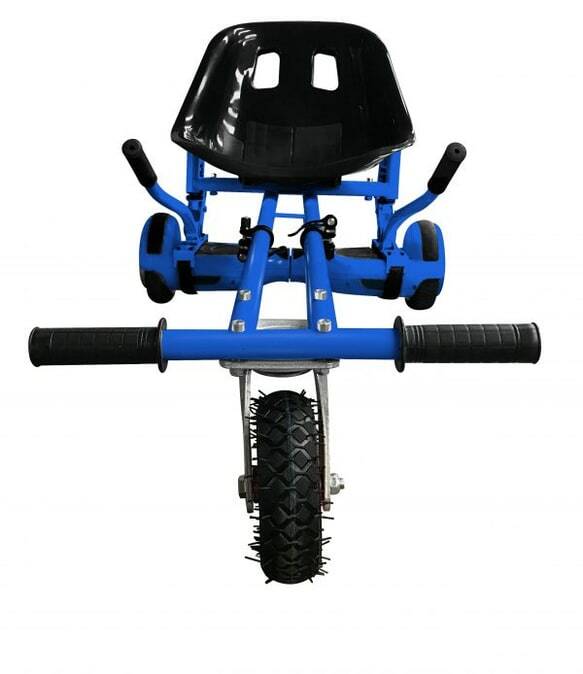 Exclusively from GoHoverkart is the MX1 Monster Suspension springs hoverkart. 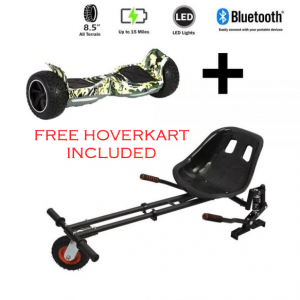 The Hoverkart is a simple but very durable design which can be put together by following a straight-forward manual which will get it built within 10 minutes. 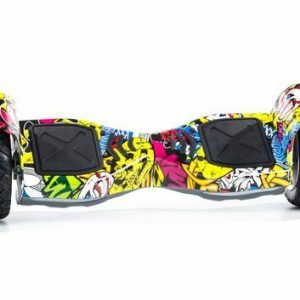 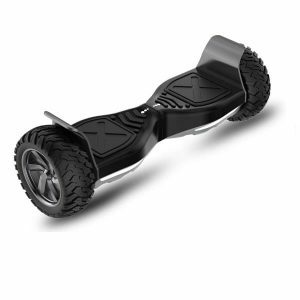 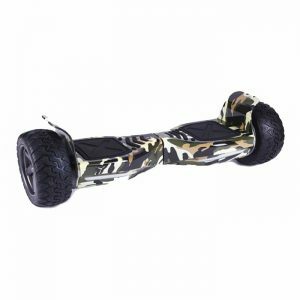 Not only is it quick to build it also fits to almost every model of Segway hoverboard swegway from 6.5 inch to 10 inch wheeled hoverboards. 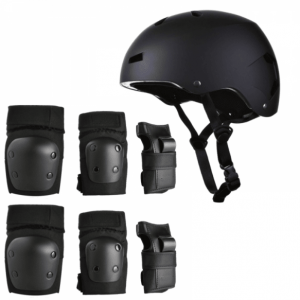 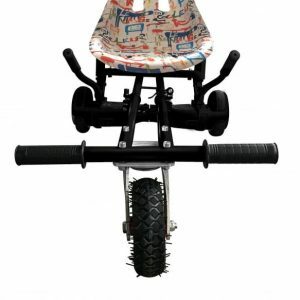 It’s very simple to assemble by putting two simple locking-straps on and attaching them to the sensor pads, adjusting the frame then it’s ready for action! 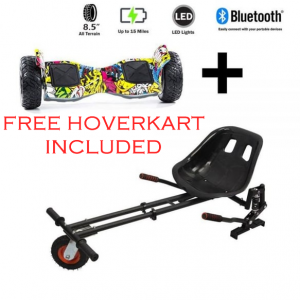 With basic control leavers you can easily control the movement of your Hoverboard; forwards, backwards and left/right and the ability to perform 360 degree spins on the spot, pull wheelies and even drift! 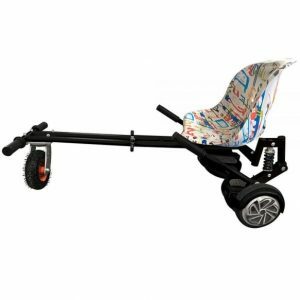 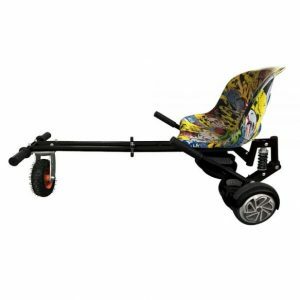 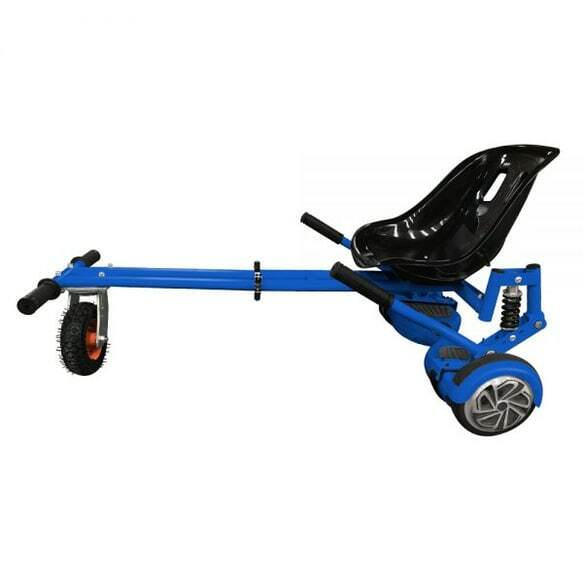 You can reach a maximum speed of 12 mph and a recommended continuous use up-to an hour, cruise with your friends with this awesome double strut frame and a racing seat. 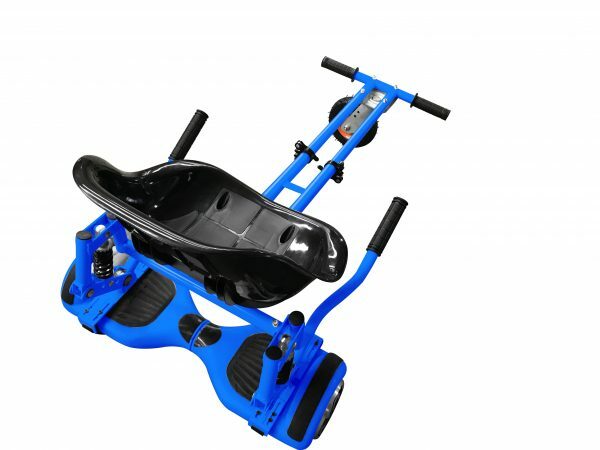 This Hoverkart has suspension arms so it gives you a comfortable ride, with the bouncy suspension springs, this allows you to experience you a real cruising and riding experience. · Up-to an hour of continuous use.